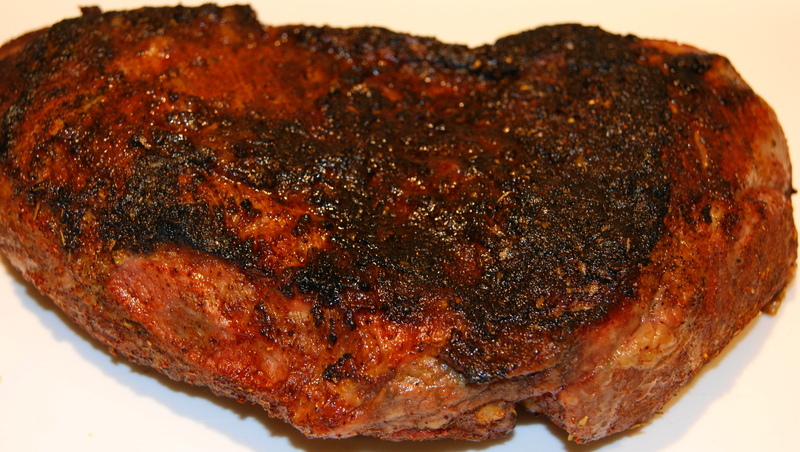 Tri-tip is so flavorful and easy to prepare. All you need is a good rub and a hot grill to make this inexpensive cut of meat sizzle with flavor. Remember to cook the meat to medium rare for the best flavor. Let the tri-tip sit at room temperature for about 10 minutes then rub both sides with the all-purpose spice rub and let sit on the counter for another 20 minutes. Get your grill hot. Cook the tri-tip on the grill about 20 minutes each side. Use a meat thermometer to make sure you have cooked it to medium rare. Remove to a plate and let rest for 15 minutes. Slice thin and serve with Oven Roasted Potatoes and sautéed spinach. Standard • Posted on February 7, 2012 by Dad Can Cook	• This entry was posted in Recipes and tagged all purpose rub, beef, cook, food, grill, meat, recipe, spice rub, tri-tip. Bookmark the permalink.